Sign up to Dry July Australia 2018 and raise funds for The Prince of Wales Hospital. Help the Prince of Wales Hospital Foundation raise vital funds so that cancer patients across the Prince of Wales Hospital cancer services can access the highest standard of care possible. The Prince of Wales Hospital’s Nelune Comprehensive Cancer Centre (NCCC) delivers modern facilities for Prince of Wales Hospital patients and provides an integrated, coordinated, patient-centred approach to the treatment and post-care of patients. Over 5000 cancer patients are treated at the NCCC each year and numbers are increasing by around 100 patients a year. The NCCC’s state of the art radiation therapy service provides specialised care for patients who come from all over NSW and even from interstate. We also house the biggest hereditary cancer unit in NSW and operate a youth cancer service. To optimise the health and wellbeing of people living with and beyond cancer, we are also soon opening a Cancer Survivorship Centre in 20019. The Centre will provide survivors and their families with resources to better manage their treatment beyond acute diagnosis and care. 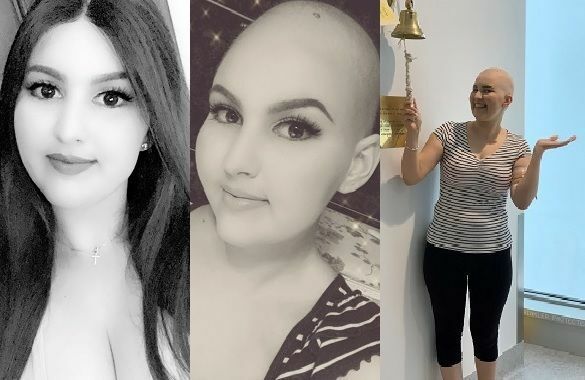 So many issues faced by cancer survivors go beyond physical health and include mental and emotional health, financial matters, as well as social and spiritual matters. Well-equipped and flexible spaces for support group activities are an important component of the Survivorship Centre. Dry July has funded projects aimed at making our cancer patients more comfortable since 2008 and we are delighted about this support! 2018 was a fantastic year for Dry July at the Prince of Wales Hospital with nearly $50,000 raised and over 80 participants – please help us exceed this with YOUR support in 2019 so we can continue to give the best care possible to our patients. Cancer is a major cause of illness and premature death in the South Eastern Sydney Local Health District. Every year around 5,000 people are diagnosed with cancer. More than one in three local community members will develop cancer during their lifetime. Patients come not only from Sydney metropolitan area, but the Centre also services cancer patients from all over the state. Our cancer survivors are at increased risk for serious long-term morbidity related to the adverse physical, psycho-social and economic burden of cancer and cancer treatment, for a significant period of time beyond diagnosis and treatment. 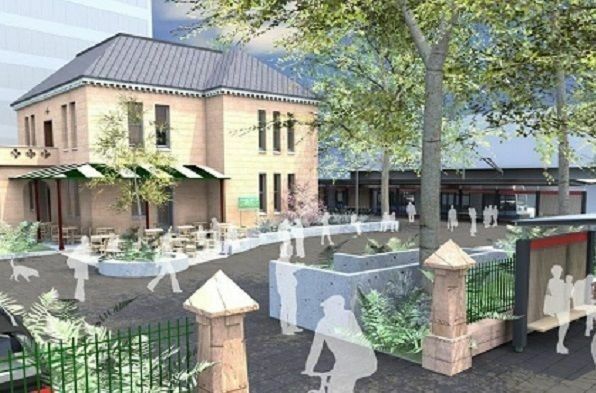 The Prince of Wales Hospital Cancer Survivorship Centre will be located in the Medical Superintendent’s Cottage, adjacent to the Nelune Comprehensive Cancer Centre. Constructed in 1867, the Superintendent’s Cottage is of historical significance as part of the former Destitute Children’s Asylum. The site demonstrates an uninterrupted progression of history from the operation of the orphanage in the mid-19th century, then as a military hospital and repatriation hospital during the early 20th century and later as part of the Prince of Wales Hospital. The purpose of the Prince of Wales Hospital Cancer Survivorship Centre is to optimise the health and wellbeing of people living with and beyond cancer. The Centre will engage all who are impacted by cancer as empowered partners and integrating evidence-informed and evidence-generating care to deliver a patient-centred, cost-effective, sustainable and innovative cancer survivorship program. The program will focus on prevention, surveillance for recurrence, monitoring and intervention for the physical and psycho-social effects of cancer and cancer treatment. With Dry July’s help, we were able to purchase vital equipment for the Centre and are excited to launch the facility in April 2019. It will be open to patients in the coming months when we will further update our supporters on its progress. Kate joined our Foundation team in June 2018 to support the executive team and manage special projects and the role has been a perfect fit. “I am able to use my 20 years of corporate PA and communications experience and interest in engaging communities to give back to the doctors and nurses here who have saved my life”. 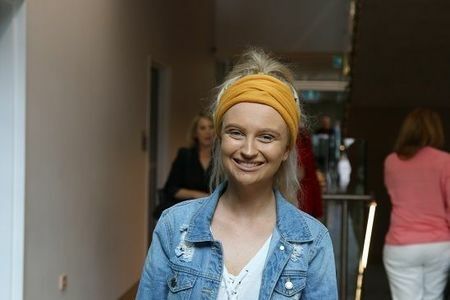 Kate became a regular patient at the Prince of Wales Hospital and Randwick precinct in 2011, when a second breast cancer diagnosis led to a double mastectomy and ongoing reconstructive surgeries. She chose to put her faith in now Head of Plastic Surgery, Dr Sean Nicklin, for her reconstruction because of his caring, honest and innovative approach and she has never regretted that decision. “Dr Nicklin and his fantastic team have provided me with the greatest care over the last 8 years and I always feel safe in their hands”. 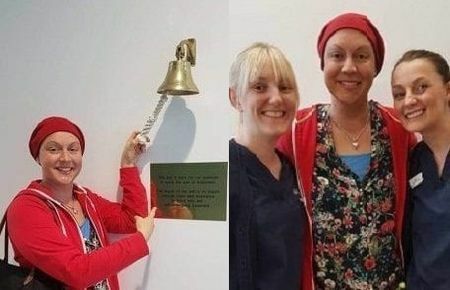 Kate experienced wound healing complications after her surgery so Dr Nicklin referred her straight to the Hyperbaric team for oxygen therapy – a treatment new for breast cancer patients at that time. “The team were amazing and the difference it made in such a short time was incredible – I spent over 3 months and 70 hours in both the old and new Hyperbaric chambers and was so thankful I lived close by”. Kate found herself back at Prince of Wales in 2017 with a third cancer diagnosis – a rare lymphoma. She was devastated ‘how unlucky could one person be?’ On the flip side she had Dr Nicklin delivering the news and she says his delivery was perfect. 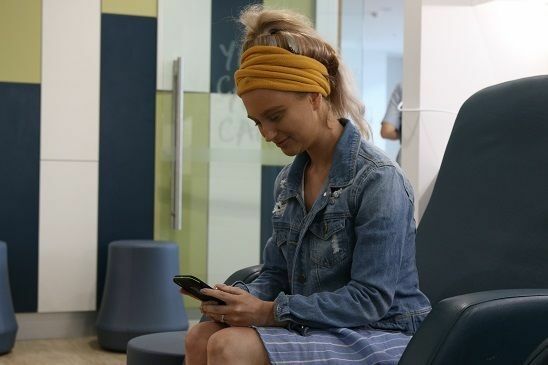 She had already been assigned to the care of Prof Mark Hertzberg (Haematology), Prof Michael Jackson (Radiation Oncology) and Dr Kathy Tucker (Genetics) and went on to be treated in the newly opened Nelune Comprehensive Cancer Centre. Kate can’t recommend the facility enough. “Not having to travel all over the city for my treatment & specialist visits was incredible. The environment has been so well thought out and centred on the patient experience. Mine was incredibly positive and helped me to cope through such a devastating time. I always felt included in my treatment planning and as my husband travelled extensively, it was important that my family knew I was in safe hands. Kate now participates in various research studies run by Prince of Wales and also nationally in the hope that her challenges will help others. She also supports other young women with breast cancer and their families. Working for the Foundation and walking the corridors of the Prince of Wales Hospital daily, has turned out to be a healing experience for Kate, especially knowing there is so much incredible research and patient care happening here. “I want everyone to have access to the amazing level of care and services that I had. They healed me and now I’m living my life again and able to give back”. Constance Synesios, 22, knew her fatigue wasn't normal. Studying at university and raising a one-and-a-half-year-old, she couldn't even bathe her daughter without feeling completely and utterly exhausted. Whenever she would try and carry her daughter, she'd experience cramping in her shoulder and on the left side of her body. 'My cervical cancer was misdiagnosed for nine months' Constance was rushed to Prince of Wales Hospital, where she underwent extensive testing. While Constance had cancer in the family, her father passed away five years ago from renal cancer, she didn't make the connection, even when she began to feel incredibly unwell. Constance has finished her chemotherapy and is back at home taking care of her almost two year old daughter. We're proud to announce that Prince of Wales Hospital has received a grant from the Dry July Foundation 2018 Grant Program. •	Fit out of Cancer Survivorship Centre with video-conferencing and AV/VC to run tele-health programs for patients accessing the Centre’s services by distance. Early last year I was diagnosed with an extremely rare and highly aggressive cancer called alveolar soft part sarcoma. There are only 20 cases per year in Australia. I’m from Shellharbour, near Wollongong. My oncologist referred me to the Nelune Comprehensive Cancer Centre at the Prince of Wales Hospital so that I can receive the specialist care I need. My mum and I come to the Centre every second Tuesday for clinic appointments and every three months for scans, however when I am unwell with treatment I come up more often. At the moment, I’m transitioning from one treatment to the other. This treatment is called a TKI inhibitor; a targeted therapy meaning it targets the cancer directly, my cancer doesn't respond to chemotherapy making it difficult to treat. During my visits I use the lounges and the wifi [made possible with the help of Dry July] regularly. Being 22 years young, I find these facilities make my life so much more comfortable. Spending a lot of time in the hospital means that my phone data usage can get very pricey. The wifi here has made it possible to surf the web while not having to stress about the money being spent. I also find it very useful for doing study while receiving treatment. So many of the younger patients are in the middle of their studies and a cancer diagnosis really puts your life on hold. Being able to study here is a big plus. My aspiration is to become a hairdresser and do more studies in hair and make-up. I also want to get the media on board to raise awareness about my form of cancer because it’s so rare. If I can have a voice I will tell my story, not only for me but for all the other sufferers out there. I’ve found my treatment here wonderful; every department in the hospital takes the time to make sure I am comfortable and happy. For example, after my surgery and when I was receiving transfusions and was being treated alongside older patients, the nurses always take the time to come and socialise with us young ones. My care has been nothing but amazing, I have always felt comfortable and happy and when I am sad there is always a shoulder to cry on, [staff] really go above and beyond to make sure their patients have quality of life. Seeing your daughter suffer from a disease that we have no control over is hard, but what makes it a little easier is the care she receives, making sure she is always happy and content is what makes this easier for me.